A paranormal researcher, a physicist, a nuclear engineer, and a subway worker band together to fight against the ghosts taking over New York City. 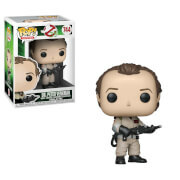 Jillian Holtzmann, a nuclear engineer, becomes a part of the ghost busting team and a part of the Pop! Vinyl family! 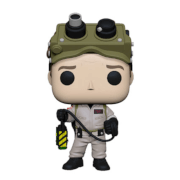 This Ghostbusters Pop! 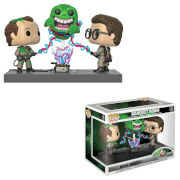 Vinyl Figure features Kate McKinnon as Jillian Holtzmann from the rebooted 2016 film Ghostbusters. This figure measures about 3 3/4-inches tall and comes packaged in a window display box.